construXnunchuX: Le Trials and Tribulations of @Kris58Letang - Le People vs Le NHL vs John Scott. 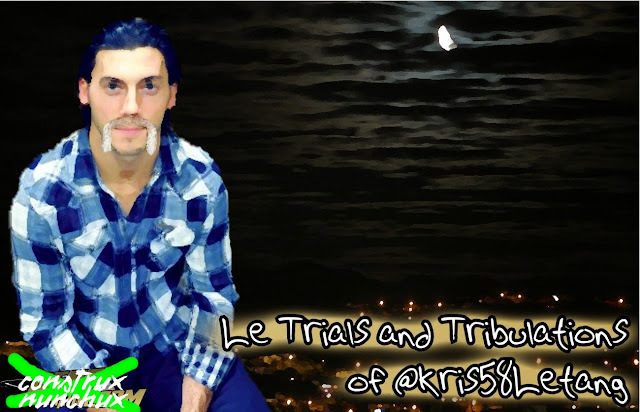 Le Trials and Tribulations of @Kris58Letang - Le People vs Le NHL vs John Scott. Allo! It is your friends Kris Letang writings to you from a computer phones on my way to the NHL All Stars games! I would first like to say thanks you to all my fan who vote for me to be in the games! Sadly your vote were unhear by the leagues because most of you were vote for John Scotts but lucky my skill got me on the teams so laughs at you! I would also like to say that today is one of the worst day of my lifes. On days I should be excite about play with the best in the leagues and getting a free guitars from Gibson (not sure who he is or if he needs it but thanks, Gibson!) instead I finds myself with many sads on my face. I look on the internet and I see all of you are so mad. You are sads because the NHL is being super means to your favourite player, John Scott. You feel they should be humiliate and upset because of the way they have treated John Scott. And why shouldn’t you? The leagues made rules, letting fans to make votes on the worlds wide web and he won fair and square. To try and guilt trip him and use his childs to make him have sads makes me sad and they should be ashamed. I spit at them. Fan need to get off their high horsies. You know the old sayin “you should never be on a high horse because it could easily get spooked and driving impaired is bad” or something like that. Why I am sad is because most fans acted like bridge trolls, but the internets version. You vote him in to either makes fun of him or to upset the NHL and now that the NHL is sads you are all “he deserves it, put him in don’t be mean” when you voting for him was mean. He wasn’t voted in because of his skill or because he was a fan favourite before this and if you say that’s not the case you are justify your part in this. John Scott is terrible position because of the leagues and because of the fan. YOU are also partial to blames so instead of just cryings about how mean the NHL is -and they are- you need to look in the mirrors and take your part of the blames. If you think you don’t you are tricking yourselves and passing the buck. (not a Canadian one because laughs). I got pretty heated up by this so I called my best friend, Marc-Andre. I said “ALLO MARC ANDRE” and he said “hello”. I told him about all the fans and how mean they and the NHL are and how they have been during this All Stars stuffs and he told me that I need to mind my own business. He said that peoples on the internet won’t see what they are partial to blames and that I should just plays hockeys this weekend. He then told me that I was stupids and that he is going to steals my Gibson before laugh and slam the phone down. I said “Screw you marc-Andre” and I slam the phones down. Maybe he is right? Maybe peoples can’t see that they have a roles in this and it is just easy to blames someone else now that they are see that he is actually a sweet humans with a good hearts. Actually, here is a fancy stats for yous! John Scott has as many points this year in the NHL as he does hearts. Anyway, congrat on “making” the games! Anyway I got get go. I gotta meet up with John Scotts. We are go to play our new guitars together! I hope he is better at guitars than he is hockeys. I am sure he is..